Here is a handbuilt in Holland Haar Guitar from 2015. 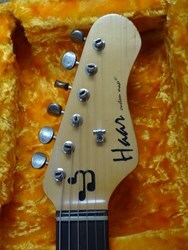 Erik vd Haar is pretty famous by now and his guitars are high level tone machines. All handbuilt and the finest woods and parts are used. 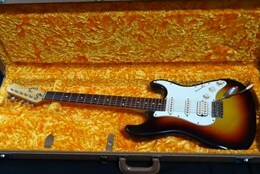 This is a S model with a maple neck, c shaped neck profile, Alder body, nitro sunburst finish, Suhr pick-ups, etc etc. Very high quality feeling guitar and sounds and plays great. 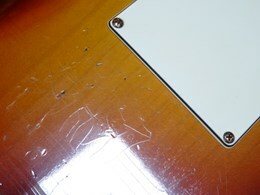 Comes in a brown tolex case.